Telefónica Digital today announced a strategic agreement with and a financial stake in information/medical community website Saluspot to extend the latter’s content and network in Spain and Latin America. Saluspot is an interesting cross between health information (WebMD) and physician locators (in the US, ZocDoc and Vitals) in that it provides free, anonymous contact with registered (on their site) physicians via the website to answer consumer questions in areas where healthcare access is limited; through this matching it also provides visibility for doctors as well as a professional exchange and purchasing collective. The benefit for Saluspot is to increase their coverage beyond Spain and Chile, and for Telefónica to add health tech services in major markets such as Brazil, where they acquired chronic care management company Axismed last year. Telefónica’s eHealth reach, according to the release, is over two million eHealth service customers in Latin America and its media networks include Eleven Paths, giffgaff, Media Networks Latin America and Terra. [grow_thumb image=”http://telecareaware.com/wp-content/uploads/2014/02/apple-patent-earphones.jpg” thumb_width=”150″ /]Another reminder of Apple’s growing interest in the health monitoring and fitness space is the news that the company has just been granted a patent for a “Sports monitoring system for headphones, earbuds and/or headsets” (U.S. Patent No. 8,655,004). The biometric headphone system can sense a number of metrics including temperature, heart rate and perspiration levels. It also contains ‘head gesture’ control which could allow users to change music tracks and adjust volume by tilting or rotating their head. Read more in Apple Insider. [grow_thumb image=”http://telecareaware.com/wp-content/uploads/2014/02/aerotel-heartview-p128-mobile-feb14.jpg” thumb_width=”150″ /]For those attending GSMA Mobile World Congress in Barcelona next week and interested in how a more traditional telehealth provider incorporates mobile technology, stroll over to the Israeli Pavilion (Hall 5, Booth #5C81) to see Aerotel‘s new (debuted at Medica Dusseldorf last November) HeartView P12/8 Mobile, an extension of their existing 12-lead ECG line that incorporates a 3G module for patient data transmission to either a call center or to a physician’s email. Aerotel claims that it is the smallest and most accurate 12-lead mobile monitor on the market. We thank Boaz Babai of ARPU~UP, Aerotel’s marketing agency, for the heads-up–but it would have been helpful to have a link to the (nonexistent?) product web page. Release (finance.yahoo.com). Geonovo has ceased trading. They won the TSA’s Innovation Award in 2011; their Home Health Hub seemed to be exactly what was needed to overcome Next Generation Network issues. Confirming recent rumours, Mike Dillon of Leonard Curtis Business Solutions Group (at a different branch than that shown on the website) informed Telehealth & Telecare Aware today that parts of the business including their intellectual property had been sold off; creditors have been notified. A sad end to a most exciting company – as the products were so highly regarded, let us hope that phoenixes will, appropriately, rise from the ashes. Wearable technology – so much choice, so much data to sell? Vandrico has recently updated its List of Wearable Devices which now features (at the time of this post) 118 such items, plus some interesting analysis. It is indeed a most comprehensive and impressive listing, that underlines the growing importance of this sector. And still there are others, such as Apple, apparently still to join. A study analysing survey data taken at the 2013 American Telemedicine Association conference has been published this month by the market research company Frost & Sullivan. 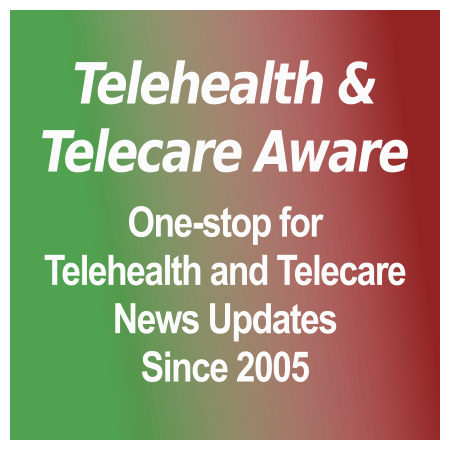 Pulse of Telehealth 2013 presents drivers and restraints, 5 and 10 year areas of opportunity, environmental points (e.g., gamification), accountable care organisations (ACOs), and predictions. The surveyed markets include home and disease management monitoring, personal emergency response systems (PERS), video diagnostic consultation, remote doctor/specialist services, tele-imaging, activity monitoring, wellness programs, remote cardiac ECG, and tele-mental health. The report is available for purchase at the Frost and Sullivan website (link above). We don’t normally draw readers’ attention these days to items of news unless we have a comment to make, as Twitter, and most notably Mike Clark’s excellent & timely tweets (@clarkmike), fulfils that role well. However the Assisted Living Capability Map is just so good it perhaps merits an extra mention to readers. Click on any region on the map and it will give you details of all assisted living activities in that region known to the HealthTech and Medicines KTN. The same is true of the Integrated Care & Support exchange (ICASE) map with shows integrated care & support pioneers, initiatives & case study exemplars. It is not, sadly, designed with the 10% of men who struggle with red/green colour blindness in mind, although that’s a small criticism of an excellent piece of work. The Aetna Foundation has earmarked $1.2 million to fund digital health, including mobile health, specifically to support public health in “vulnerable and minority populations.” The grants will go to 23 organizations in 13 states, including regional hospitals and grassroots efforts. Cited in the release (reprinted in HITECH Answers) as an example was the Institute for eHealth Equity (IEHE) and Text4Wellness. The $1.2 million grant is part of a three-year, $4 million commitment to technology innovation in public health. Aetna is also supporting a call for papers to be published in the American Journal of Public Health. Deadline is 1 March, so get your skates on! 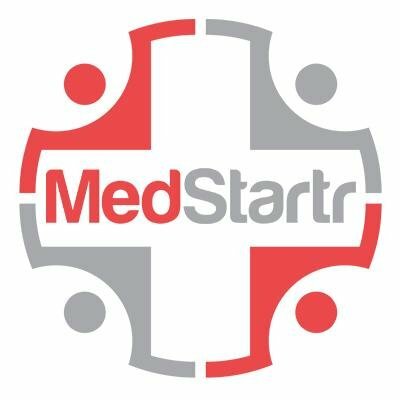 St. Jude Medical, Medtronic and Boston Scientific targeted. The San Francisco Chronicle reported earlier this week, from what they termed a source close to the companies, that all three companies had data intrusions that lasted for several months during 2013, and were not aware of them until alerted by Federal authorities. None of the companies, nor the FBI, confirmed or commented on this for the Chronicle. The attacks were “very thorough” and the source stated that they showed signs of being committed by hackers in China. The attraction of all three companies–Medtronic being the world’s largest– is their intellectual property and of course patient data, with the article mentioning confidential patient data collection from clinical trials. Also iHealthBeat. Previously in TTA: US health data breaches hit record; Healthcare.gov backdoored? CUHTec has announced two additional telecare strategy courses for March, adding two at Coventry University in addition to the two previously scheduled at University of Newcastle. Topics are Learning Disability Services, Fall Prevention and Digital and Mobile Telecare. These strategy courses are for commissioners, service development managers, trainers and others with responsibility for telecare and AT service planning and delivery. To find out more and to book a place, please visit CUHTec’s website. Thanks to reader Prof. Andrew Monk, director of The Centre for Usable Home Technology (CUHTec), for the update.